A step up to the DSL the Flux DS is for those harder riding freestylers that like to turn the whole mountain in to one giant play park. Turn the whole mountain into your very own freestyle play park with the new Flux DS Black Mens Snowboard Bindings. 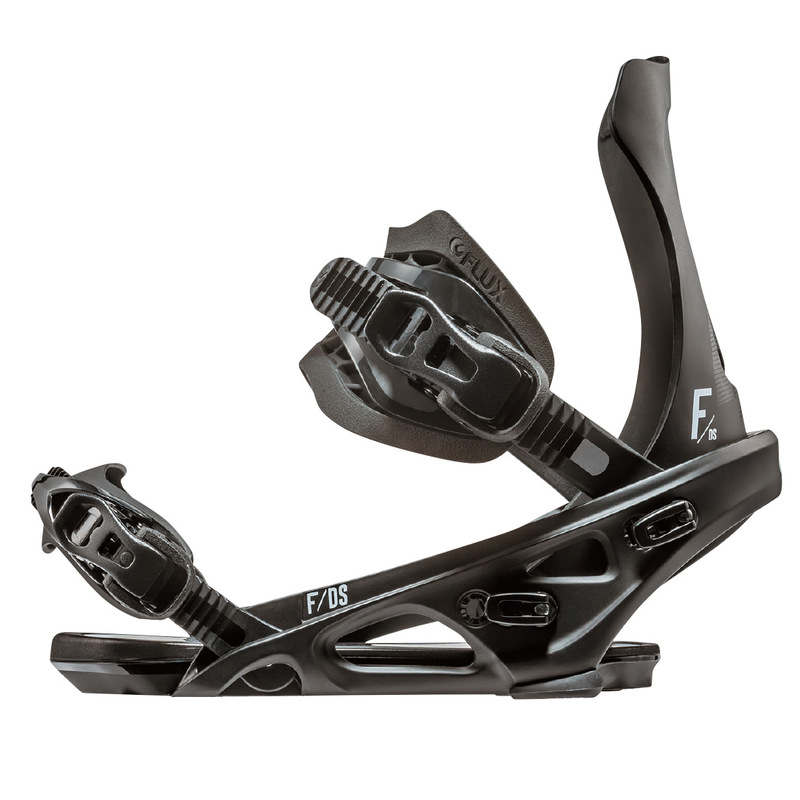 A step up from the Flux DSL Snowboard bindings, the DS still remains at a playfully mid flex and super lightweight construction however this years model has an all new Flux Resistor high back offering a better range of movement for freestyle riding. With the Resistors mini wing you can really put a lot of sideways force in to the DS for superior pressing and carving capabilities while making rails an absolute dream. 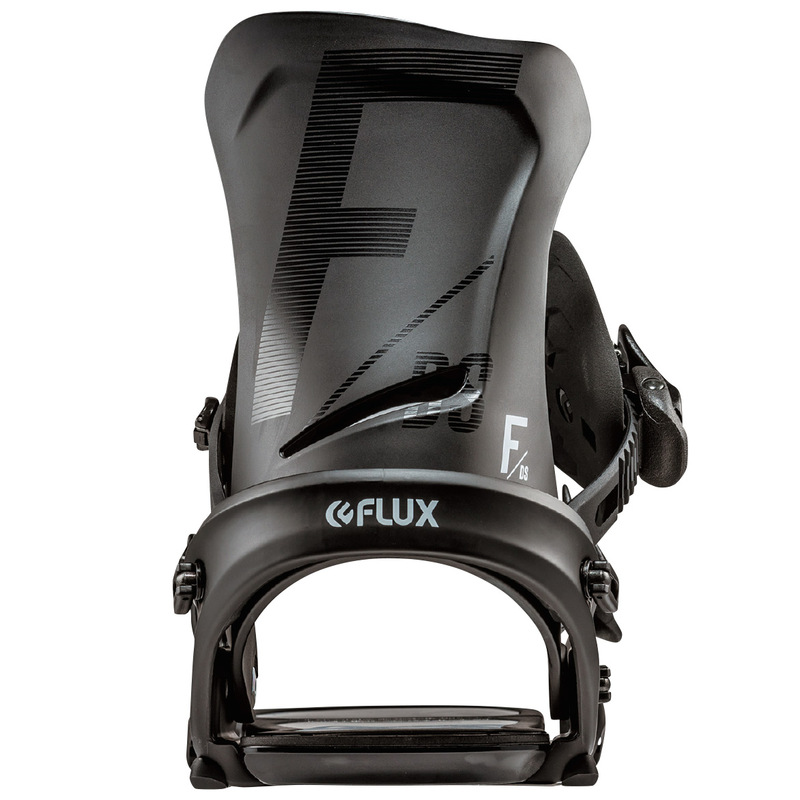 Alleviating any pressure zones around your foot the Flux DS Snowboard Binding uses a UU fit and Flux's most popular Waffle Heel Strap to provide a feeling so similar to almost having no bindings on your feet at all! With an adjustable underfoot cushioning system to dampen out vibrations and heavy landings, the DS foot bed can extend and retract offering you the perfect customisable fit for your foot shape and size. 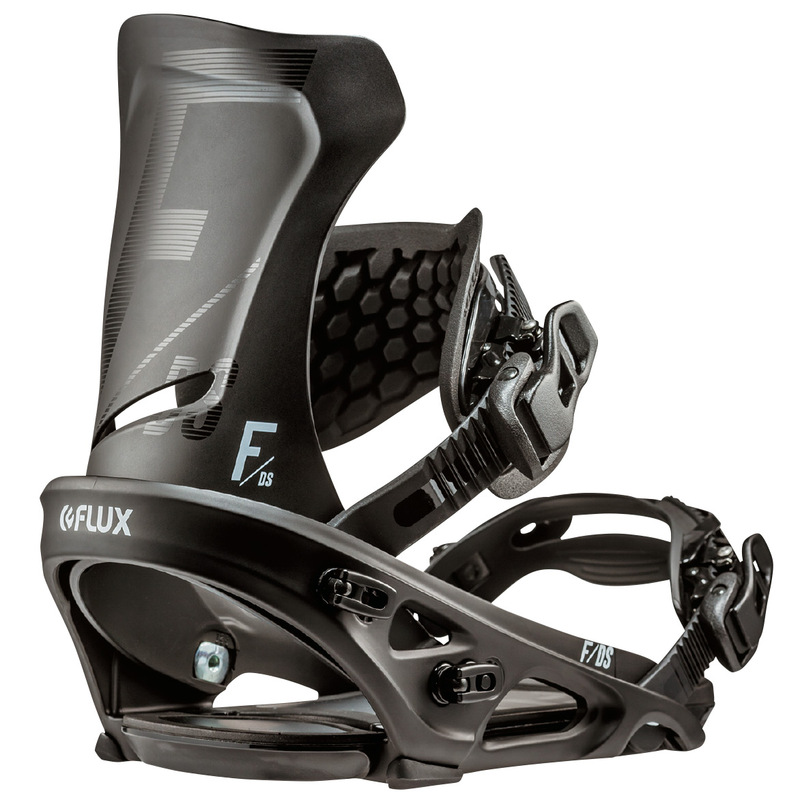 The new Flux FooTon feature helps prevent any build up of snow underfoot. The Flux Beer Buckles provide more leverage when strapping in and when opening yourself a cold one (yes there is a built in bottle opener too!) while a smooth opening glide makes getting out super clean and easy. The Flux DS Black Mens Snowboard Bindings are you super light weight freestyle binding that turns all mountain in to your playground.